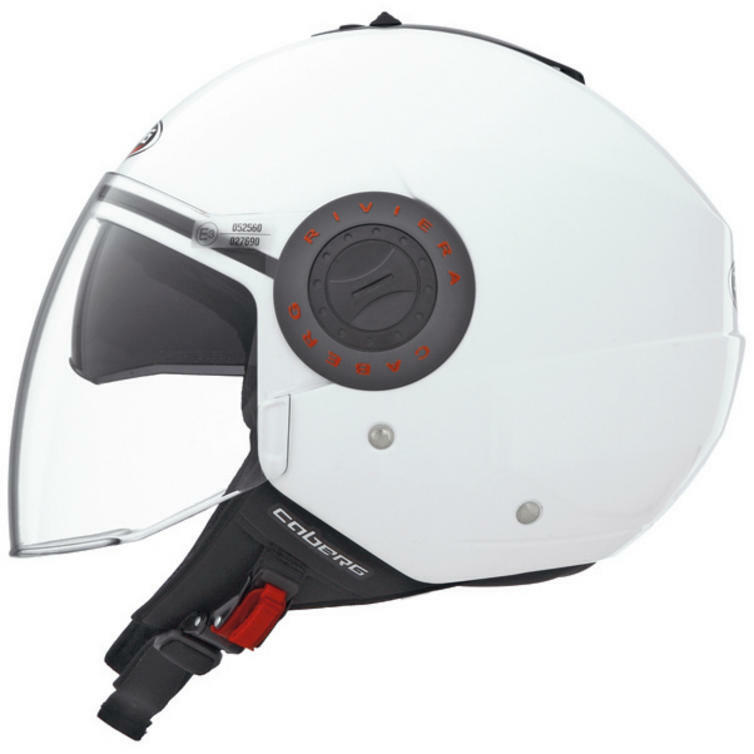 New to GhostBikes, the Caberg Riviera V3+ Plain Demi-Jet Motorcycle Helmet. The Riviera V3+ is the new Jet by Caberg ideal for everyday use in the city. 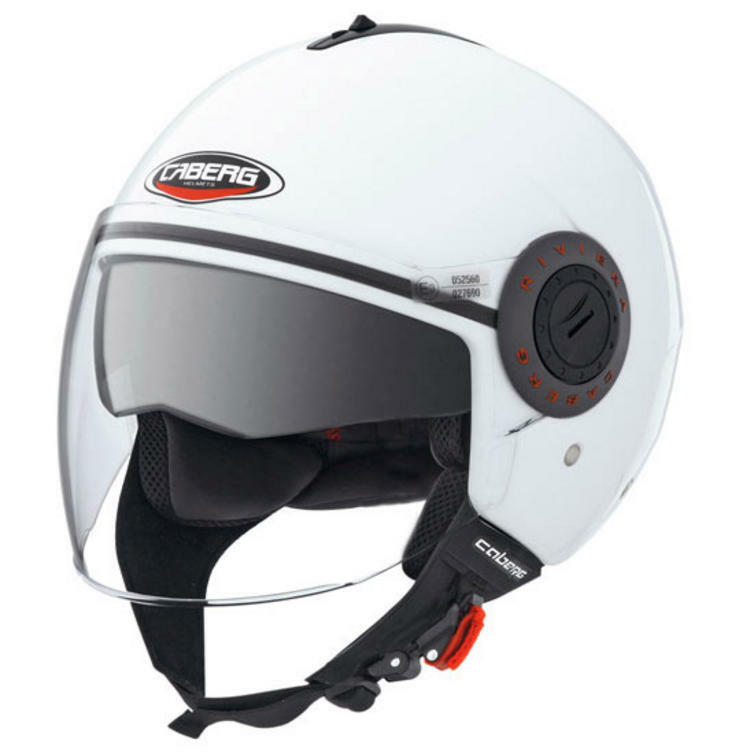 The Jet offers the best comfort and fitting thanks to a double shell size which guarantees the best proportion between the shell volume and the motorcyclist?s head size. 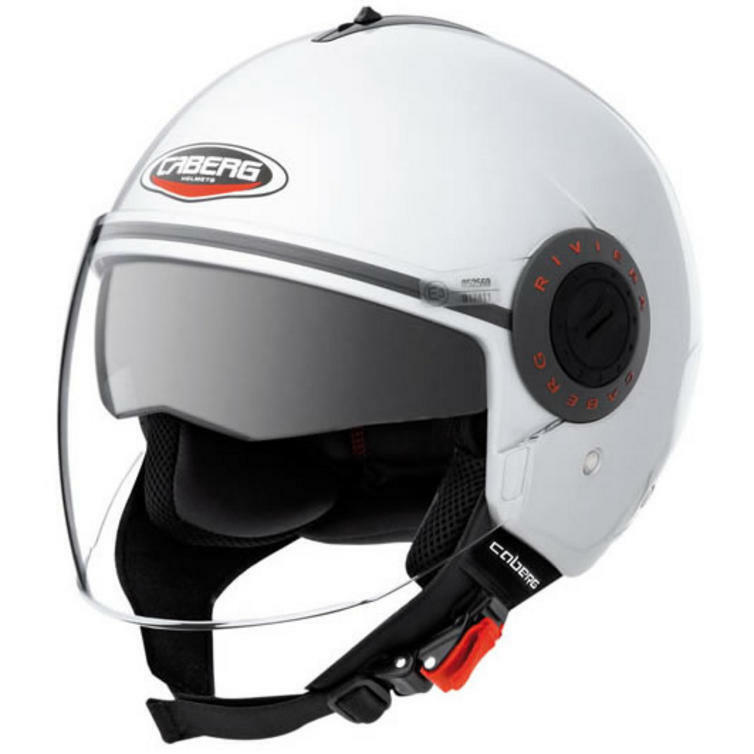 Riviera V3+ is equipped with the exclusive Double Visor Tech system that, thanks to an inner sun visor, easy to use, allows always to ride with the perfect light and maximum safety. 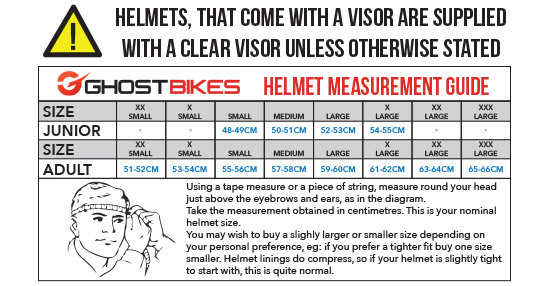 The visor quick release system doesn?t require any tools for the disassembly steps. 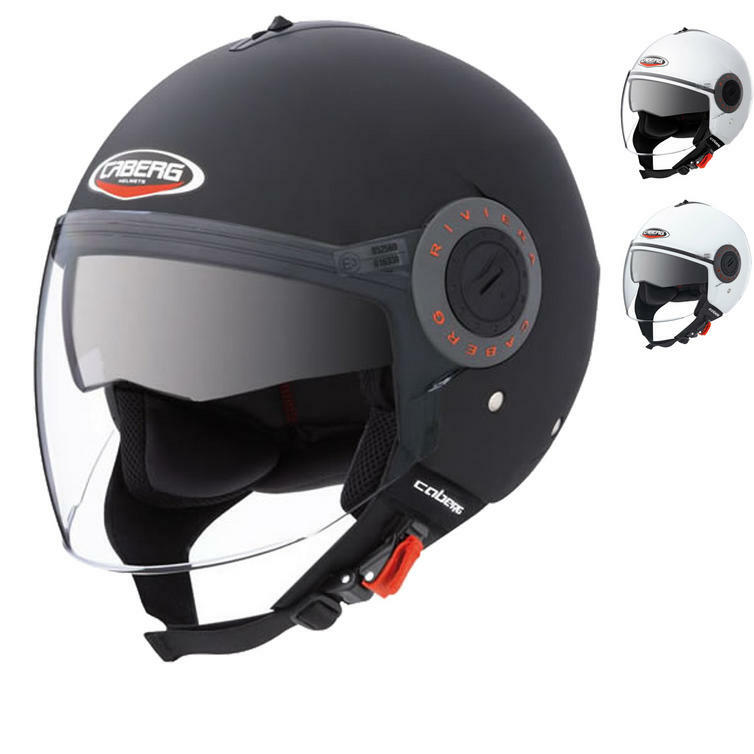 The wide dimension of the transparent visor allows an excellent air protection also for long distance routes. 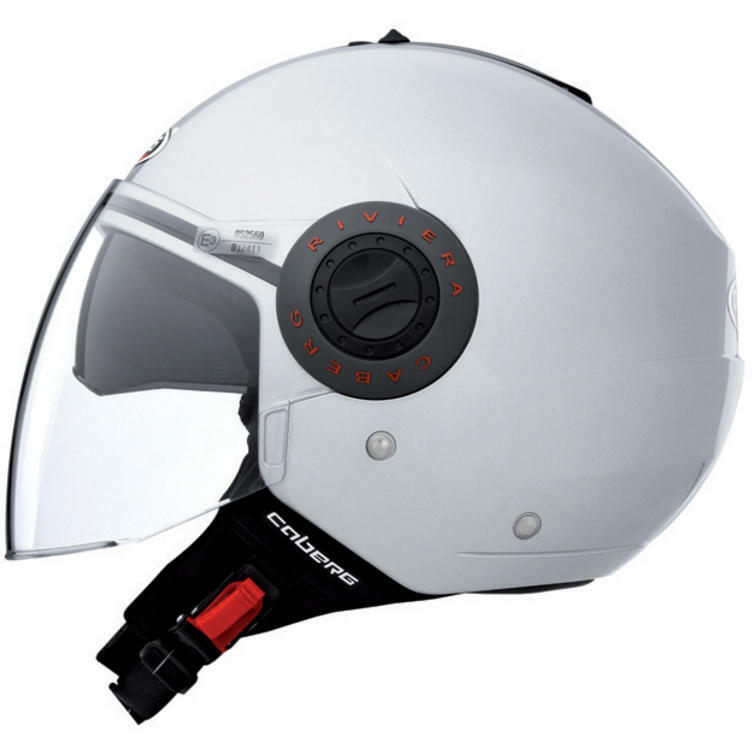 The micrometric buckle, allows a safe and easy adjustaments also for the less skilled riders. The lining completely removable and washable has been studied using fabrics with high transpiration. 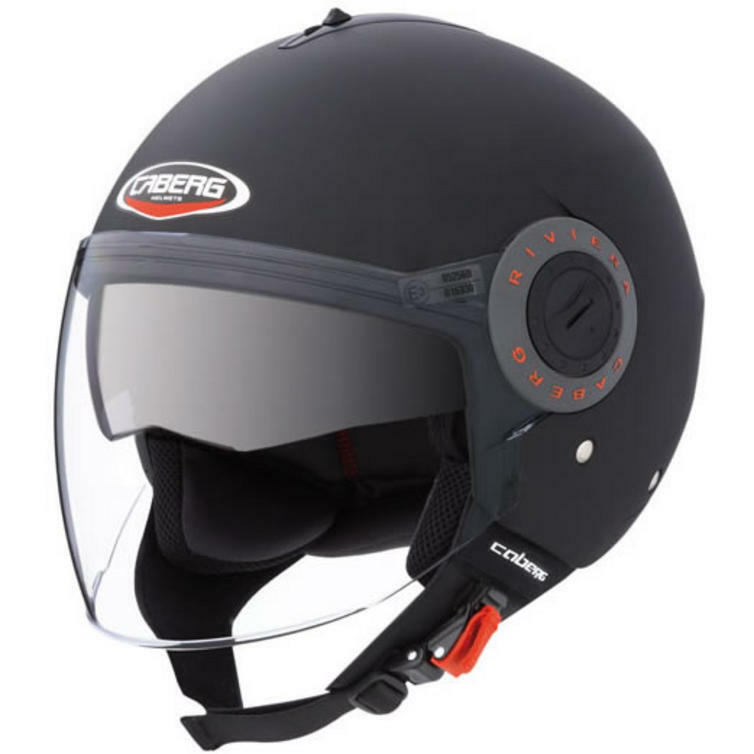 Make sure you don't miss out on this amazing helmet get yours from GhostBikes today.